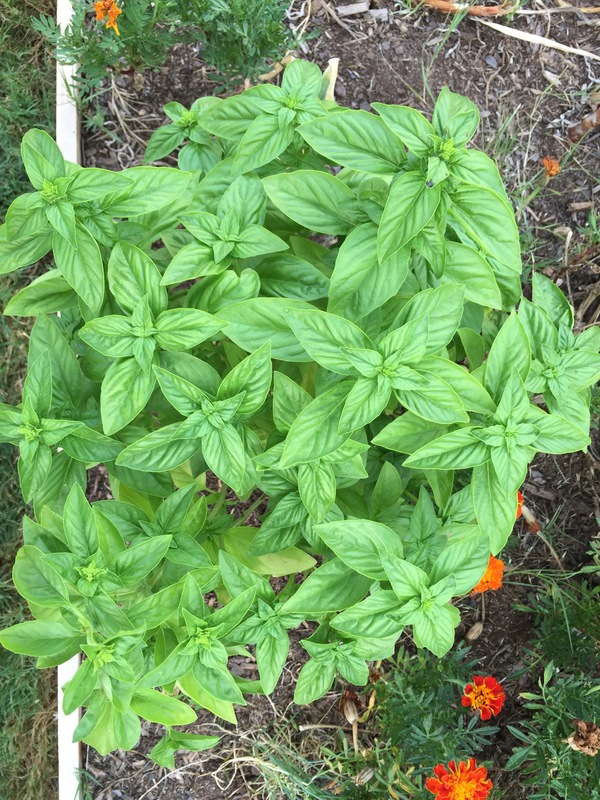 Of everything I planted this summer, the thing I had the fewest expectations for was the basil. It was pretty much an afterthought; it wasn’t on my list when I visited the garden centers to pick out the flowers and vegetables I would plant. 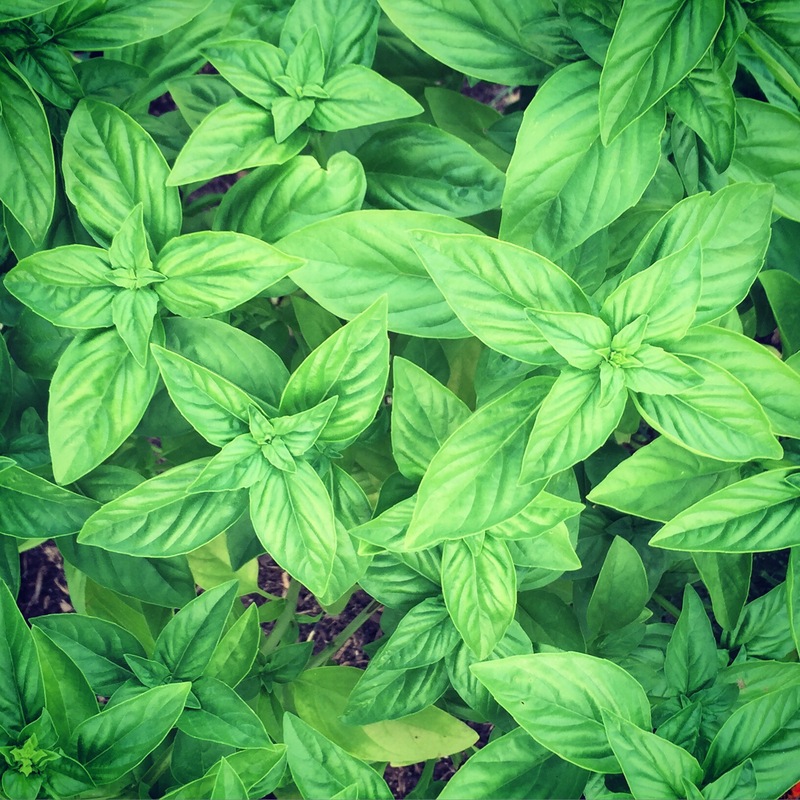 Rather, it was only when I was looking at the tomato plants that I caught a whiff of the sweet basil and thought “That smell would be nice in my garden.” I had zero experience with basil, really almost no experience with herbs at all. Sure, I had grown dill in my Wisconsin garden. I don’t really count that though. Dill is easy-peasy. Sow a few seeds and you have it for life. Sometimes you have to actually work to get rid of it. Regardless, I bought some basil and a small chives plant and planted the two on the outside edge of my raised beds. No real expectations. If they grew, great. If not, no big loss. Maybe I should have approached the veggies I really wanted to grow that way! 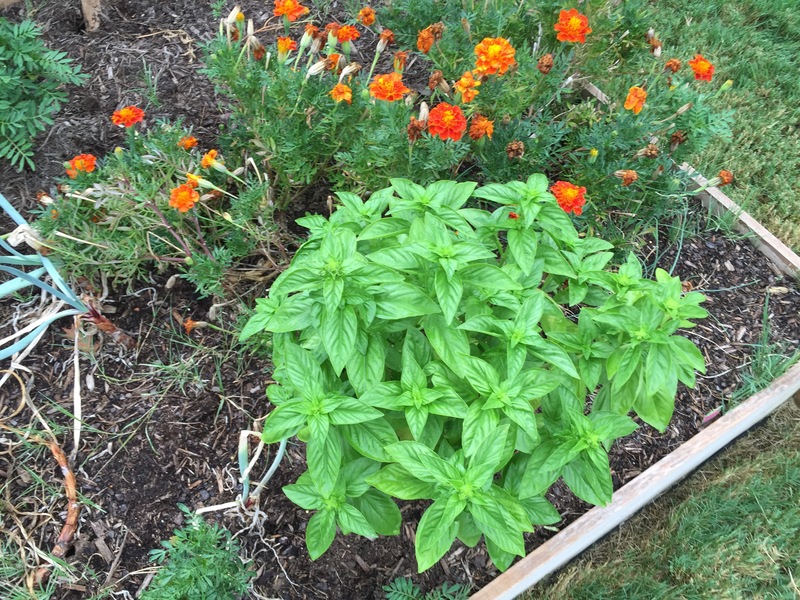 More than once during the summer I expected the basil to stop producing. Especially during the hottest portions of August, when the chives finally gave out. Not so the basil. It would start flowering, I would cut off the flowers, and it would just keep growing. In fact, it’s still producing. Every 10-14 days, I cut off a bunch of leaves for use in my kitchen or the kitchens of my co-workers. Every 10-14 days, I wonder if that time will be the last time I get a bagful of the aromatic leaves. 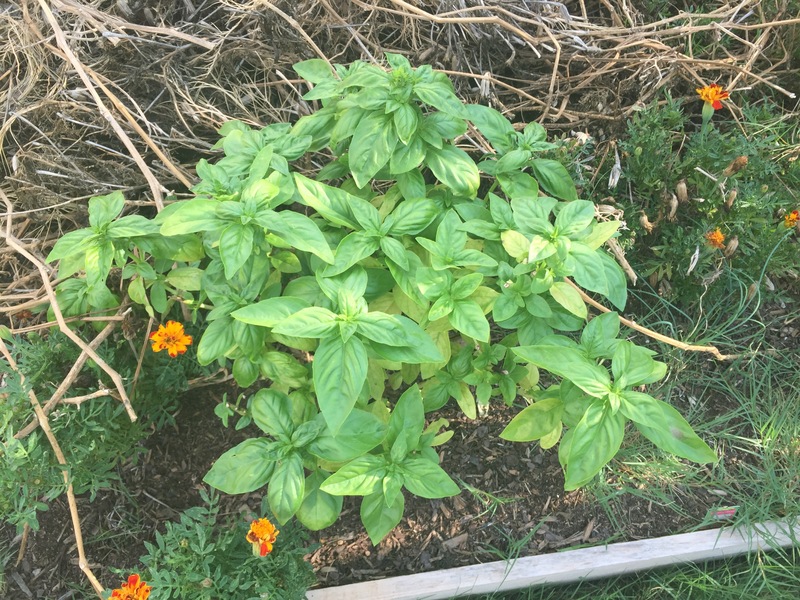 It’s almost Oct. 1 and although the basil (top photo) doesn’t quite look as robust and green as earlier in the summer (other photos in this post), it still appears to be going strong. Fresh basil is wonderful in cooking. In other words, it can produce as long as it wants! 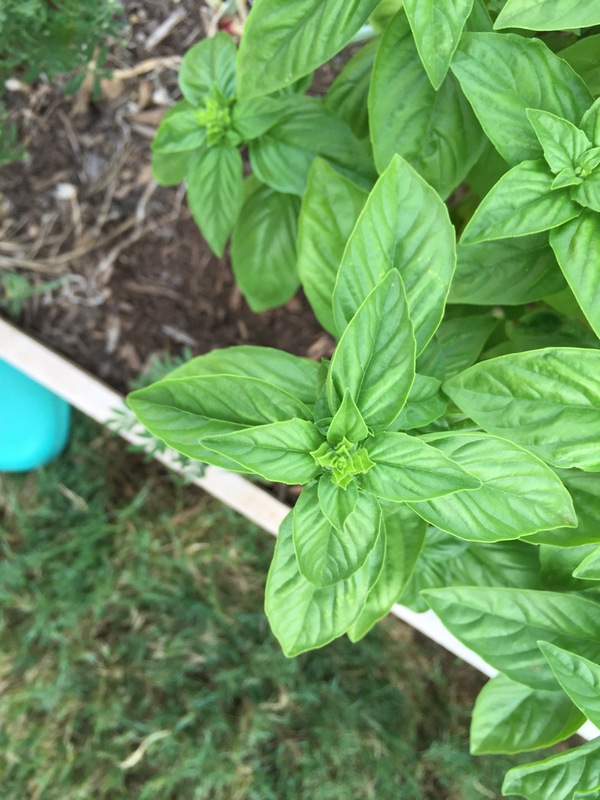 This entry was posted in Gardening and tagged basil, chives, herbs on September 27, 2015 by Julie Riebe. Love this. I’m definitely going to plant basil next year. Thanks for the inspiration. You bet Sheri. It definitely was easy to grow. I bet you’ll find the same. Love to see your pictures next year! Slice several leaves of basil into ribbons, add with a chopped tomato, pressed garlic clove, a drizzle of olive oil and a small handful of pistachios and Voila! Salad snack. A daily favorite in the summer. Basil is such a no-fuss plant. I prefer the more lemony Thai basil to the sweet licorice-y Sweet basil. Either make fabulous pesto for the freezer for later use. Sounds like a great recipe. Thanks Shannon! I guess basil is my new dill!